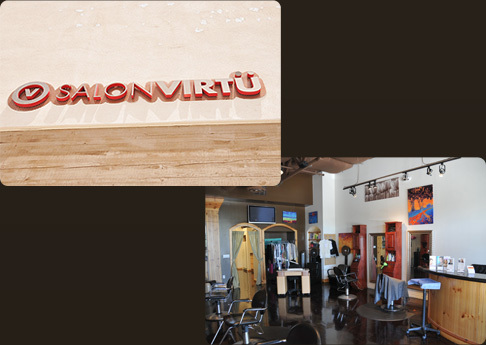 Anthony Calles is the owner of Salon Virtu in North Scottsdale. Anthony has been doing hair for over twenty-eight years. He has been teaching hair styling techniques for over ten years for Tony & Guy and the TIGI Art Team. In addition to styling in the salon he works at hair shows, does platform work and gives private seminars for stylists and groups. Anthony also teaches new and seasoned stylists haircutting and color techniques. He remains up to date with current trends and techniques by studying locally as well as internationally in London. Salon Virtu strives to make clients look and feel good. Salon Virtu feels that everyone has the capability to look better but many do not know how. Style and trends have changed through the years. However the style and trends of today allow the experienced stylist to create the right amount of softness in your look. Salon Virtu invites you to call our Scottsdale salon, you find our salon comfortable and accommodating, with a warm, cozy environment, and a down-to-earth staff who are as friendly as they are professional. We look forward to seeing you.